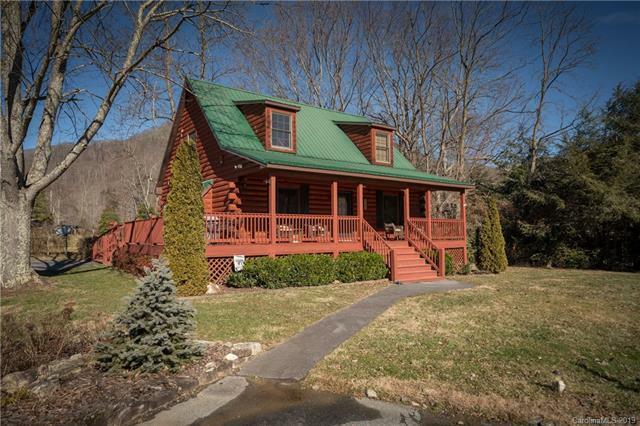 A Maggie Valley mountain cabin! A great neighborhood with great neighbors including the Smoky Mountain Elk that love to visit the area! 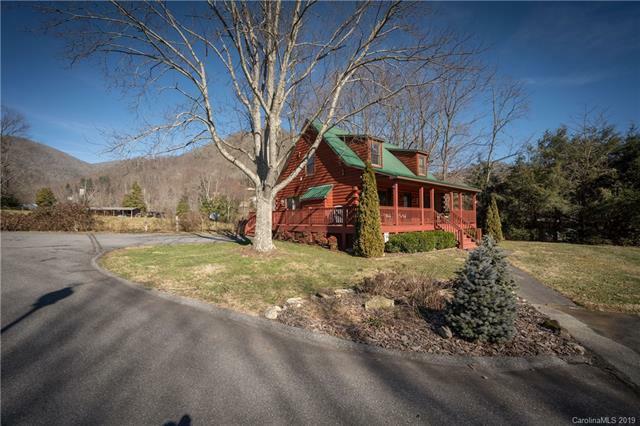 Easy, level paved access with some of the nicest mountain views you can get from the valley. Crockett Meadow is a deed restricted cabin community that offers underground utilities, street lamps, and exterior (yard) maintenance. 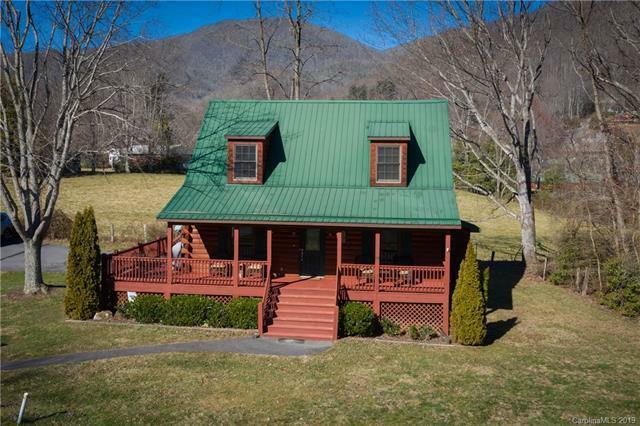 This home is located at the end of Meandering Way and offers front and rear pastoral and mountain views. The home is currently a successful vacation rental but could be used as a full-time residence or second home. 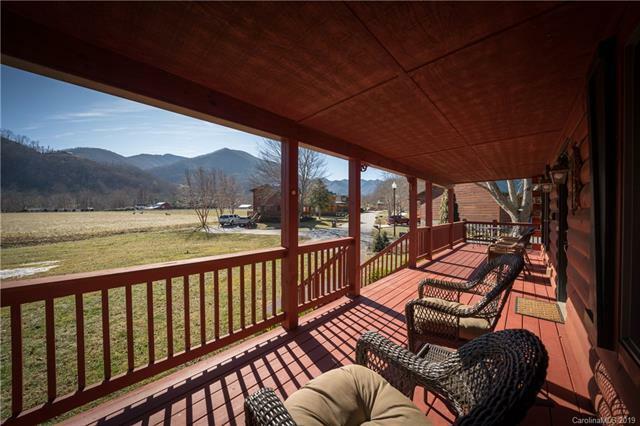 Large wrap around deck offers plenty of outdoor space to enjoy the panoramic surroundings (and elk watching!). The home features an open floor plan with a master bed and bath on each level. A very functional, spacious kitchen and dining area. The living room with hardwood floors will draw you to the stone accent fireplace and open vaulted ceilings. Sold fully furnished and ready to move in!